Due to concerns regarding South Africa’s ongoing energy crisis, the Pound Sterling to South African Rand (GBP/ZAR) exchange rate has avoided major losses despite uncertainties regarding how the Brexit process will unfold from here on. Hopes that a no-deal Brexit would be avoided led to a GBP/ZAR surge from 18.79 to 19.15 last week. GBP/ZAR even briefly touched a high of 19.27 on Thursday, the best level for the pair since October 2018. Fresh Brexit jitters have dragged on the Pound (GBP) since markets opened this week, but the pair has avoided major losses. At the time of writing on Tuesday afternoon, GBP/ZAR still trended near the level of 19.14 – just below the week’s opening levels. The weak South African Rand (ZAR) was unable to capitalise on the Pound’s Brexit jitters, and investors anticipated upcoming Brexit news and shifts in risk-sentiment. The Pound recovered slightly against the South African Rand today, but its potential for gains was limited by broad market uncertainty regarding how the Brexit process could conclude. The UK government’s plan to try and push its Brexit plan through Parliament seems to have failed for now, as the House of Commons Speaker John Bercow rejected the idea of three votes on the same deal – at least not without substantial changes. Investors are also unsure how long the Brexit process could be delayed for, with UK-EU talks over a delay expected to go underway this week. Due to this Brexit uncertainty, the Pound was unable to benefit from the day’s latest UK job market data – despite much of the data beating expectations. Britain’s latest employment change and wage stats including bonuses both beat forecasts, and the unemployment rate unexpectedly improved to 3.9%. These stats helped Sterling to hold nearer the week’s opening levels, but this was also due to weakness in the South African Rand. A lack of supportive South African data in recent sessions, combined with broad concern over the ongoing power cuts in South Africa, have left the South African Rand too unappealing to benefit from higher market risk-sentiment. Since last week, a weaker US Dollar (USD) and bets of a more dovish Federal Reserve have bolstered investor appetite for riskier currencies, including emerging market currencies like the South African Rand. However, the Rand in particular has been unable to capitalise on this risk-on movement. Rand investors are highly anxious about ongoing issues with South Africa’s state-owned energy firm, Eskom. 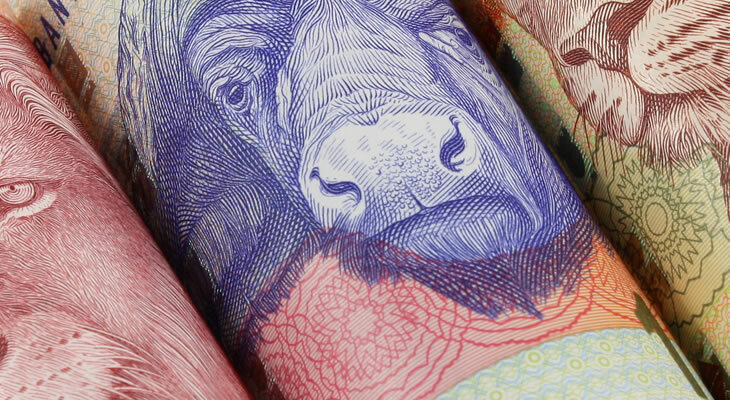 Demand for the Rand steadied slightly on hopes that the government would detail its plans for how to handle the energy problems, but this was not enough to help the Rand push GBP/ZAR lower. While there are some key UK and South African ecostats due in the coming says, such as inflation and retail sales figures, the Pound to South African Rand (GBP/ZAR) exchange rate is likely to be driven by political developments in the coming sessions. The status of Brexit is still highly uncertain, with just over a week until the UK is set to formally leave the EU. Negotiations of how to handle a potential Brexit delay will be closely watched by Pound traders. Meanwhile, the South African Rand will be influenced by developments regarding Eskom and the ongoing South African energy issue. Tomorrow will see the publication of most of this week’s influential South African data, including inflation from February and retail sales from January. Britain’s February inflation rate will be published tomorrow as well, but the Pound to South African Rand (GBP/ZAR) exchange rate focus will likely remain on Brexit.